Main Street Winter Haven hosts our annual Wine, Chocolate and Cheese event in Downtown Winter Haven! 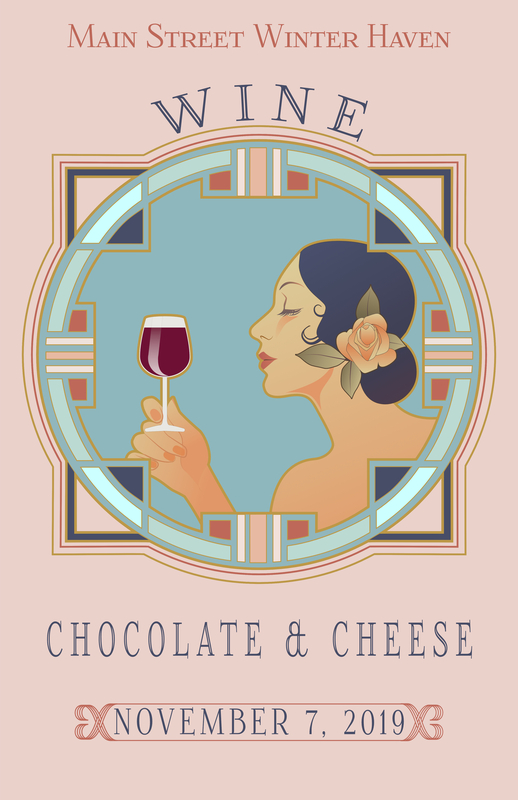 Downtown businesses will host a wine and cheese OR a wine and chocolate pairing! Attendees will purchase a ticket and receive a map and a tasting glass to visit all of the participating locations. Live music on the street a great night to explore downtown with friends while enjoying great wine & bites. Check-in will begin promptly at 5:30PM on the southeast corner of Central Park (across from Wauchula State Bank). Please utilize the parking garage, and come with photo ID in hand.